Situated atop a small hill overlooking Quance Park in Delhi, Ontario, this open-concept museum, built in 1979 as a model of typical tobacco pack barn, houses a large agricultural collection which includes exhibits on tobacco, ginseng and alternate crops grown in Norfolk County. Permanent and featured exhibits highlight local community history and its diverse multicultural heritage. Throughout the year, the Museum hosts fundraising and community development events for people of all ages. 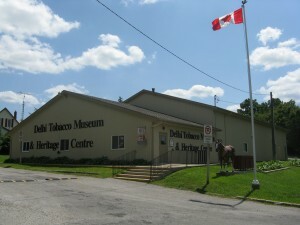 Canada’s only tobacco museum is open year-round. "The Key To Preserving Our Heritage - Your Community Museum"